Training Record number and Date of the conducted. Observations of the effectiveness checkers, how trainee effectively complete the task and what is requirements for the further training etc.. Information is including in observation. Training Effectiveness – Observations / Comments / Status – In this field, observer full describe the status of the training on base of the assigned task for the trail, observer can comment on the training and effectiveness of the training is properly conducted or needs for further training to successfully completion of task or works in field, in this format status is as result of the effectiveness checking here result of the training and effectiveness. 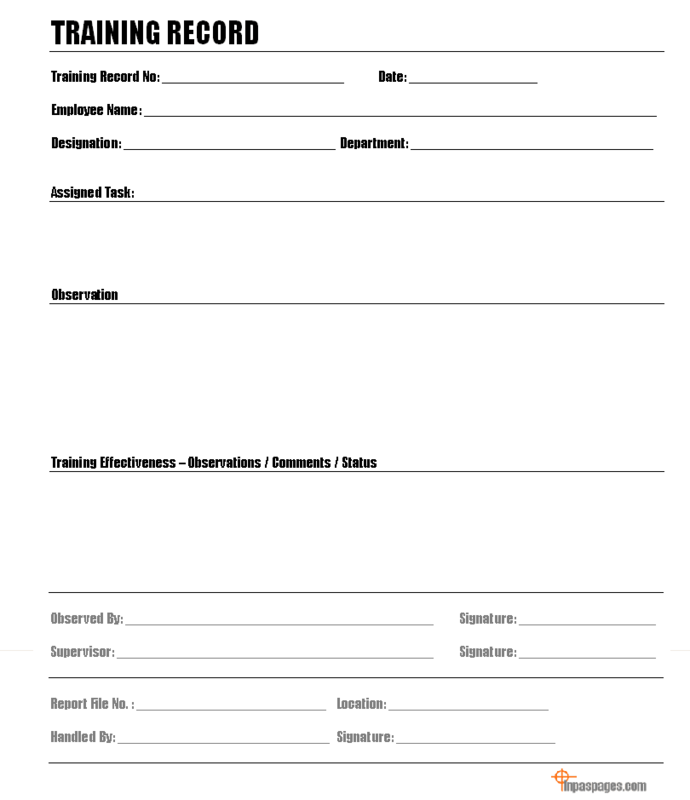 Sign off and record information for human resource department like report file number, location where training records are storage.